I wanted to take a gap year, so I decided to work abroad so I could travel and have money to do it! 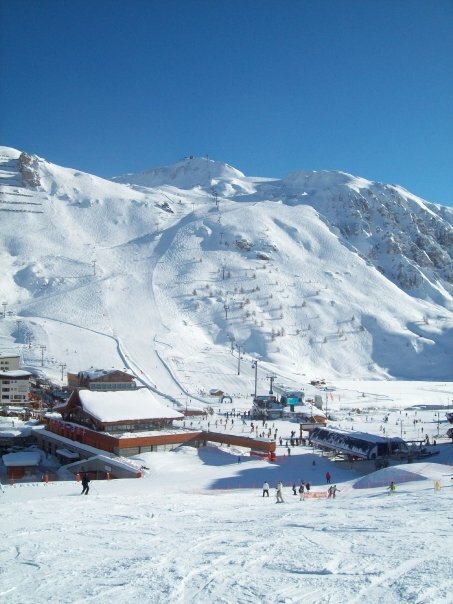 I went to La Rosiere in the French Alps. I was a chalet maid, so my job entailed housekeeping, cooking and waitressing for the Chalet guests. How old were you when you went? I was 18 or 19 at the time. I booked everything through a specialist website, they planned everything for me. What percentage of time did you spend working/ having fun and exploring? What was this like? I spent about 40% of my time working, and the other 60% we were allowed to do what we wanted. It worked really well for me because I had time to make friends, have fun and explore. 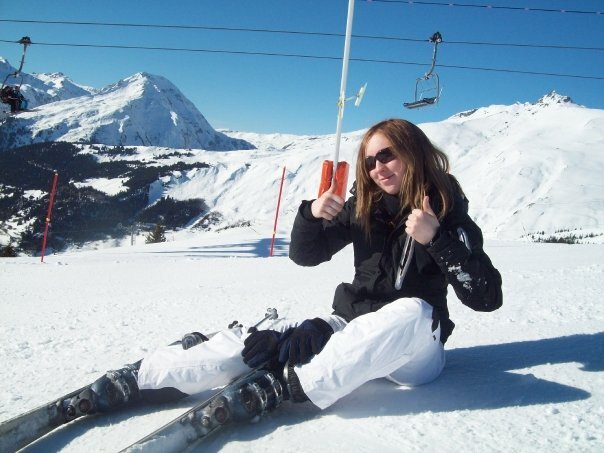 I learnt how to Ski and Snowboard during my trip, and I did both a lot, almost every day in fact. Did you face any problems whilst working abroad? The only problem I found was that the doctors were very expensive, even just for a checkup. 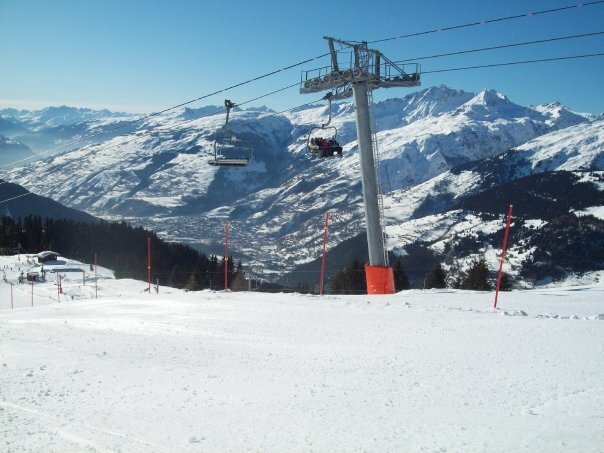 During my trip I hurt my shoulder whilst skiing and didn’t do anything about it, because I was worried about the cost. This wasn’t the best idea and I would NOT recommend it, as I still have problems with it now. The highlight of my trip was probably seeing the views waking up to white mountains and sunshine everyday, that was pretty cool. I also made some amazing friends for life. I didn’t have any low points! Would you recommend working abroad? Or was it an experience you think isn’t for everyone? I would definitely recommend working abroad to everyone. I had the best time of my life, and it made me grow up a bit. What one piece of advice would you give anyone planning to work abroad? The one piece of advice I would give is to make the most of everyday, because it goes so much quicker than you would think. I travelled solo, as did most of the people on the trip, and it worked out great because it forces you to make friends and helps build your confidence. Would you work abroad again? I would absolutely work abroad again, and in fact I definitely and plan to!